The new model aims to build on what Plaxton describes as the ‘outstanding success’ of the Cheetah which was first launched in 1997, although Mercedes-Benz based Plaxton small coaches had been available for many years previously. The restyled second generation came out in 2007, which was followed in 2012 by a re-engineered model, retaining the styling on a new stainless steel frame. The new generation will see a variant of Mercedes-Benz’ latest Atego chassis used as a basis. It will offer increased power and much greener credentials compared to its Vario predecessor. Plaxton has not released details of the exact variant of the Atego to be used but it will have the option of an automated manual transmission, bringing the small coach into line with the larger models in the Plaxton range. The new Cheetah design is intended by Plaxton to offer ‘even greater levels of capacity and comfort’ and is aimed at the 33 to 35 seat market. Not only is it offering more seats, extra space and ‘a massive increase in locker capacity’ are also promised. Plaxton is confident the new model will be of interest to the hundreds of customers who have operated Cheetahs since they first appeared. 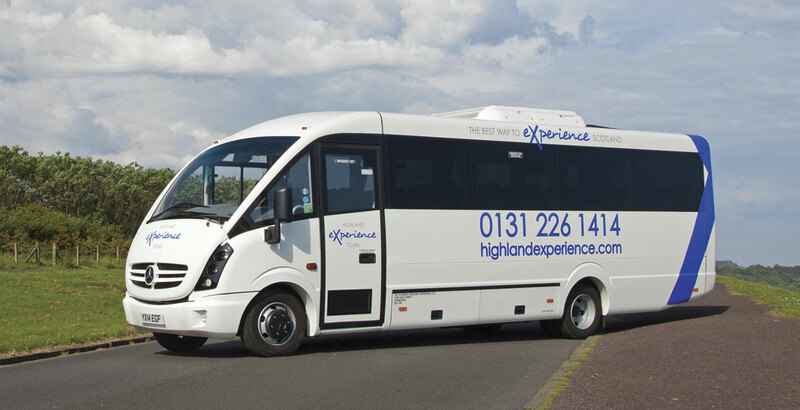 New Vario based examples are still entering fleets in quantity, including Highland Experience which recently added eight. Six of them were supplied by Plaxton Coach Sales of Anston, with the remainder from Dawson Rentals. Specifications on these include 29 reclining seats, an entertainment package and a roof mounted Thermo-King air conditioning unit. One of the vehicles is also equipped with a multi lingual commentary system. The new model is expected to start production in the last quarter of the year and will be available in volume from early 2015. Two customers are understood to have already placed orders with further details of them and the vehicle expected to be revealed later in the year.